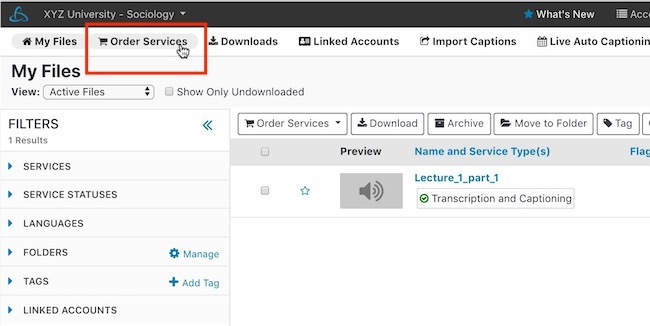 Once the integration between your MediaCore and 3Play Media accounts is set up, follow the steps below to submit closed caption requests directly from your 3Play Media linked account. After signing into your 3Play Media account click Upload Media. 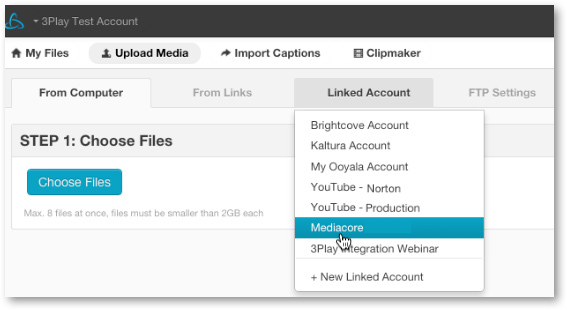 Select your linked MediaCore account. A thumbnail feed of all of the videos from your MediaCore account will display on this page. Select the MediaCore videos you want submit for captioning. As videos are selected the number in the Upload button will indicate the amount of videos selected. 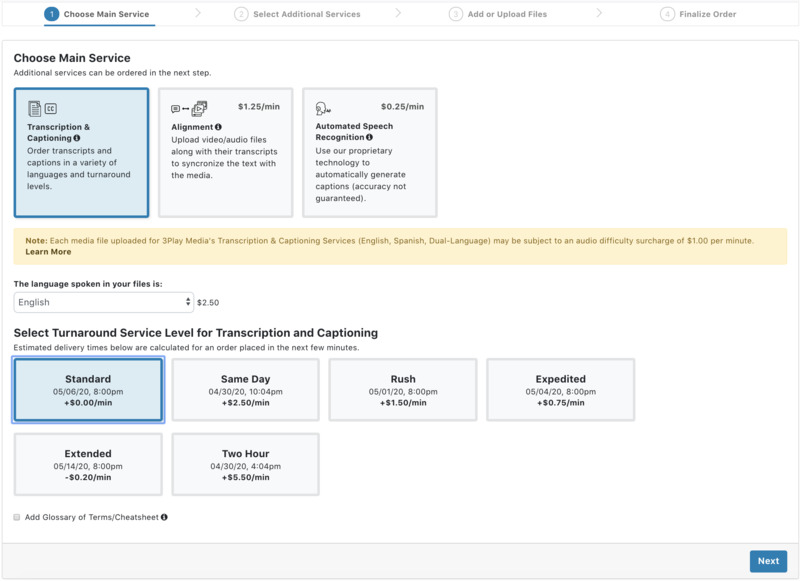 Once the videos you want captioned are selected click Upload. IMPORTANT NOTE: Videos added to MediaCore via YouTube or Vimeo will not be able to be selected for closed captioning. Videos added from Vimeo and YouTube will be indicated within the linked account feed with a (!). Only videos that have been uploaded originally to MediaCore can be selected. 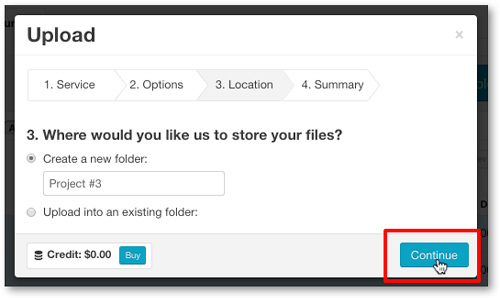 Create a new folder where these files will reside once uploaded or select from an existing folder from your 3Play Media project. 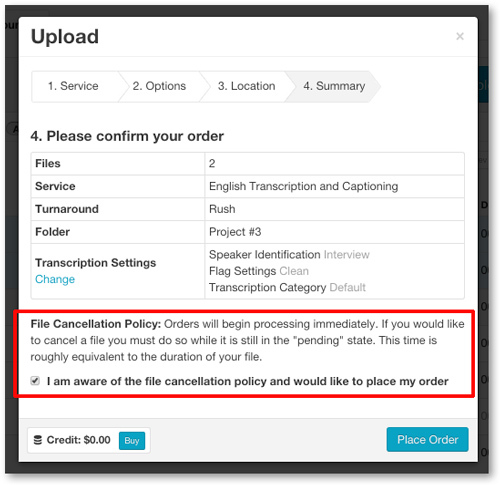 After selecting the location folder, please read the 3Play Media cancellation policy. Click the box to acknowledge the cancellation policy. 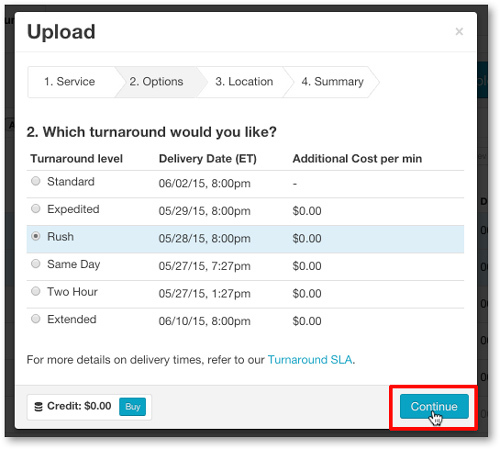 After reviewing your order summary, click Place Order to complete the upload process. 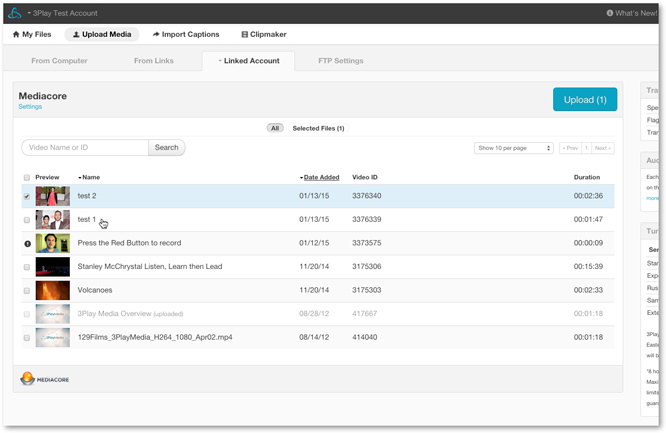 Immediately after upload cheat sheets can be attached to your pending files. Cheat sheets can provide helpful information regarding spellings of content-specific terminology and proper nouns.